Am I sheltered or what? 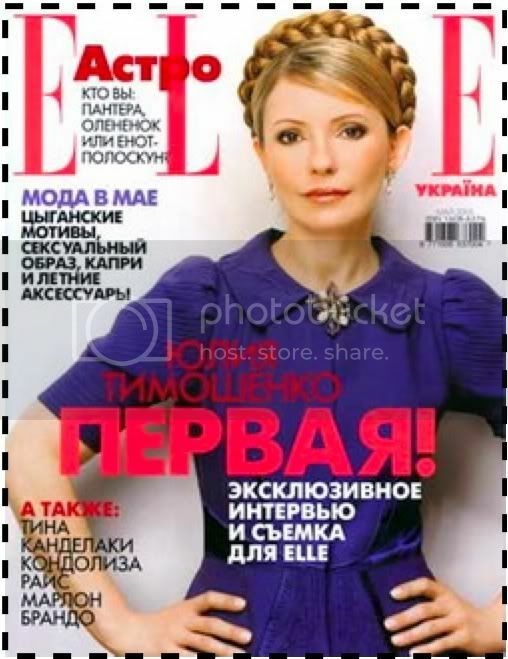 I had no idea that Elle Magazine had a Ukrainian Edition- let alone that Yulia Tymoshenko was their fabulous Prime Minister (go ahead… check the Wiki on her, and find out more about why she wears her hair in the traditional Ukrainian peasant girl braids). When I say fabulous- I have to clarify, I’m totally clueless about her politics. All I know is her wardrobe. She’s really, unbelievable. Go ahead, Google her! She’s a billionaire who earned her money as the “Gas Princess”… with the privatization of oil and gas in the Ukraine in the 90’s. And she likes to spend her money on great clothes and bags… particularly, Louis Vuitton. She’s been known to buy an entire Louis Vuitton line- and flies to Paris to meet with LV to arrange her wardrobe. If you can read Ukranian (is that a language? ) then check this blog for more info. Even if you can’t, it has some great pictures of her in some of her Louis Vuitton favorites. I like her in this Louis Vuitton Suhali Le Talentueux. Her signature color is white, so a white Suhali is a natural for her. 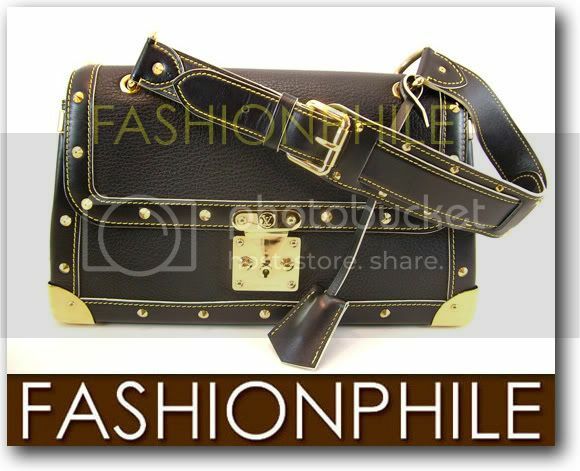 It’s a classy bag- that looks professional- but with an edge. Yulia’s kind of like that. If you’re kind of like that- maybe you need to pick up a Le Tal for yourself. If you aren’t a Gas Billionaire- we can help you to get one for much less than retail. OK… ours isn’t white- but then again, maybe white isn’t your signature color I’m sure Yulia picked hers up at a LV Boutique for $2720. Our pre-owned authentic black Suhali Louis Vuitton Le Talentueux is only up to a little over $900 on eBay right now! It will surely go up- but I’ll bet you can save over $1000 off the sticker price!